So. Many. 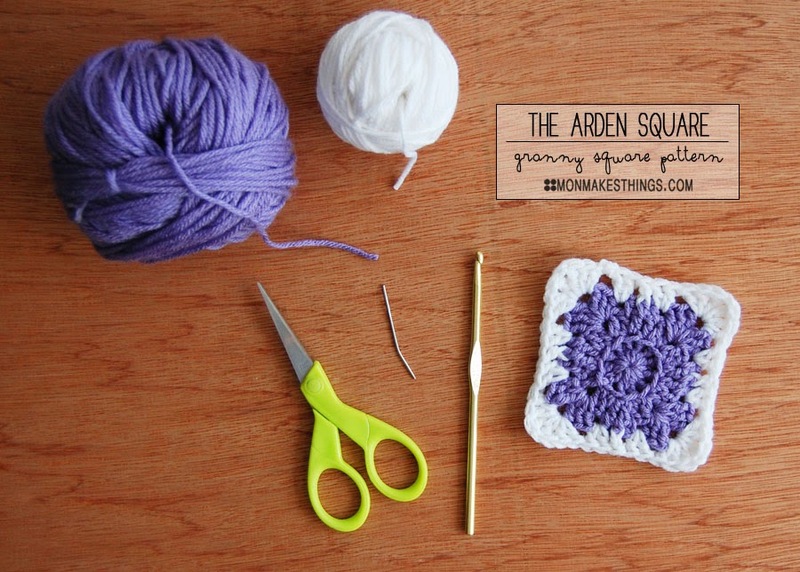 Granny squares... Thanks to the Crochet Mood Blanket, I am freaking obsessed. I wanted to try my hand at the basic, old school granny, because truth be told, it has been years since I've made one. I've seen a bunch of people on the Mood Blanket social media pages bummin' out about their "basic squares" being "boring," and I'm over here like, "pfft, look at dem simple squares lookin' fab." 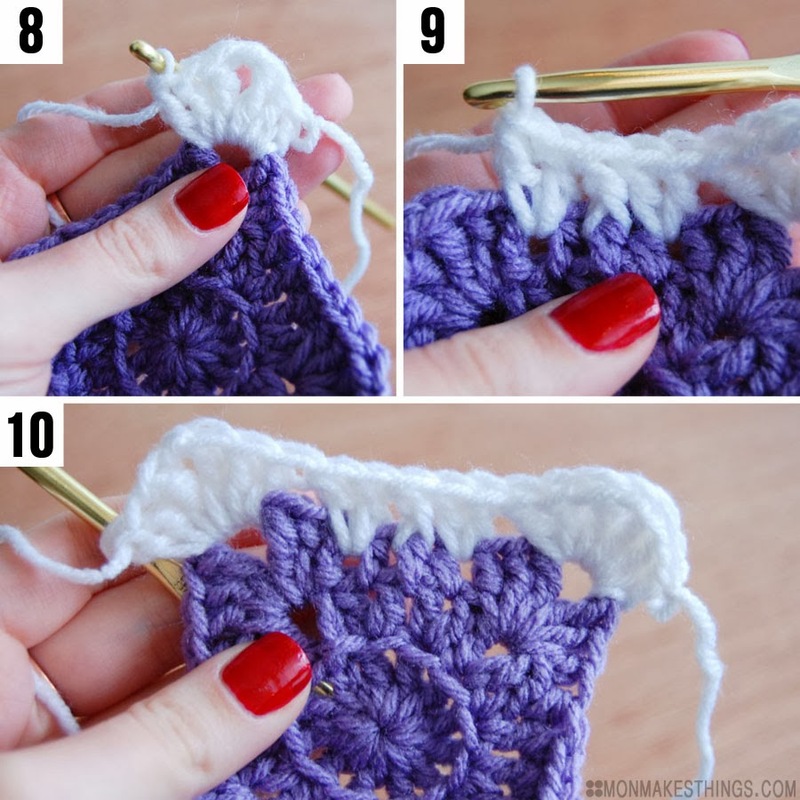 I also saw some newbie crocheters struggling with their squares, so I thought a good photo tutorial may be helpful to some. I'm sharing the full post at my side gig, ThinkCrafts. Check it out and make some squares with me! Three weeks in, and I am loving this project. As I wrote about before, the social media groups surrounding the Crochet Mood Blanket project are so inspiring! I am loving interacting with other "hookers" around the world, and thanks to all their gorgeous blankets, I am jonesing to make a million more projects. I want to make squares and hexagons and stripes until I'm out of yarn! It's also given me the push to work on my ol' granny hexagon blanket from years past.. Remember that one?! I am using Loops & Threads Impeccable for my mood blanket. I did not make a chart for colors and moods, but am instead choosing a color that I feel is appropriate each day. I didn't want to make a chart, because I think emotions are complicated and layered and fluid; I don't think a chart would properly map out my days, you know? I just don't think I can categorize a whole day as "angry," "sad," or "happy." I am, however, trying to categorize days as good or bad. I am adding a border to all my squares: white for good days, off-white for less-than-good days. I'm also keeping a journal to write down why I chose each color, though we'll see how long I can keep up with that. 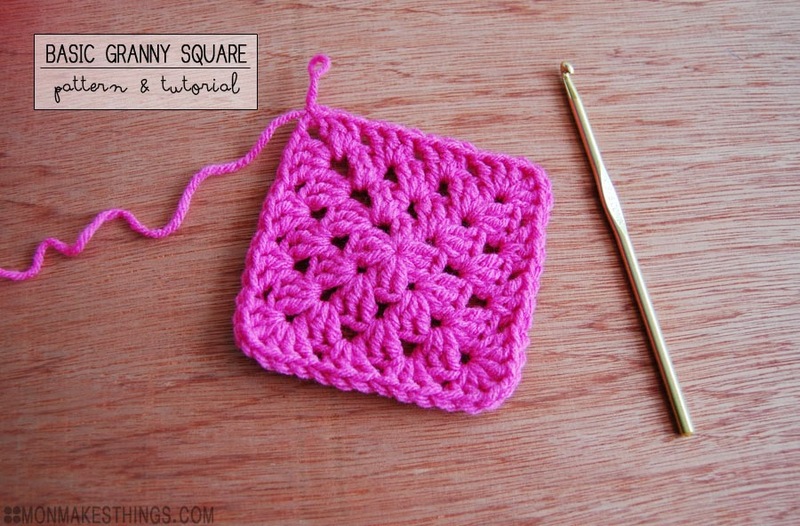 I wrote up my own square pattern and you can find the tutorial here. Something that has really surprised me about this project is how enlightening it has been to actively think about and reflect on my mood. Truth be told, I don't think I've given "mood" much thought until now, but if I had been asked, I probably would have said something about how mood is a choice or that mood is determined by the day's events. While I don't disagree with those statements, it has been really interesting to notice how I feel upon waking up, before any "daily events" have weighed on me and before making any "decisions" about my mood. There have been days when I have simply woken up cranky and I have no idea why; days that felt heavy or depressing despite being undeniably similar to many others that felt fine. Furthermore, when I wanted to do the "good v. bad" days with different borders, I thought I would have almost all white borders, because I consider myself such an optimist. While I still consider myself an optimist, I have realized that calling a heavy-feeling, so-so, boring kind of day "good" merely because it wasn't awful and because it's nicer to call it good than bad, is silly. I have realized that I don't like to call things "bad," but that doesn't mean they aren't... You know? I've been striving to be more honest about my mood with myself, rather than painting everything rosey because it's nicer. Like I said, I am loving this project. It has been both inspiring and self-revealing thus far, and we're only three weeks in! Are you participating? What do you think of the project? 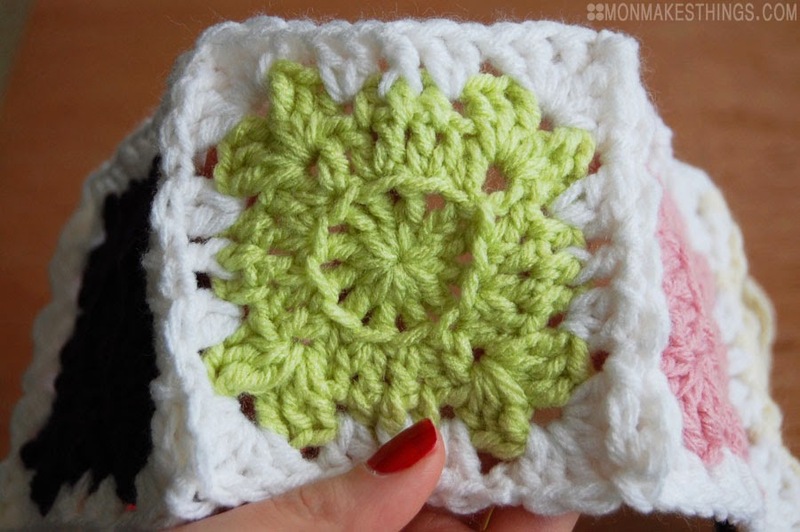 I played and played with square patterns for my crochet mood blanket. At first I wanted to do "Something Pretty" by Millie Makes. I loveee those squares, but I knew they were simply too time consuming for me to realistically keep up with for the whole year... So I'll save that pattern for a smaller project. For the mood blanket, I wanted my squares to be simple enough to finish quickly, but textural and interesting enough to keep me interested. This is what I came up with. I think they look kind of like snowflakes in a way! With some stitches worked in the back loop, the switch from a circle to a square, and some stitches worked in the front post, I think they look more intricate than they really are (which is baaaasically what I was going for). 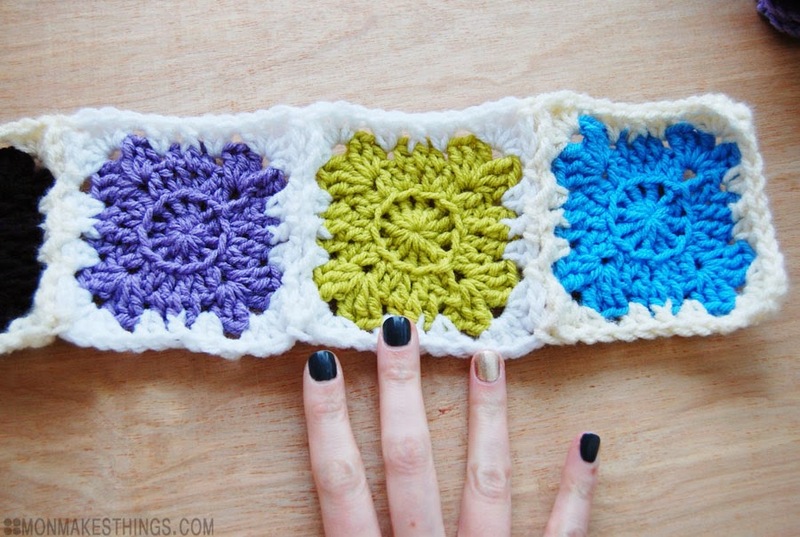 I'm doing the join as you go method for my mood blanket (good tutorial on Attic24). I'm also making a bunch of the colored portions ahead of time, so that on busy days, I can grab a pre-made middle that suits my mood and simply add the border! I am beyond excited about this project. What IS this project, you ask? 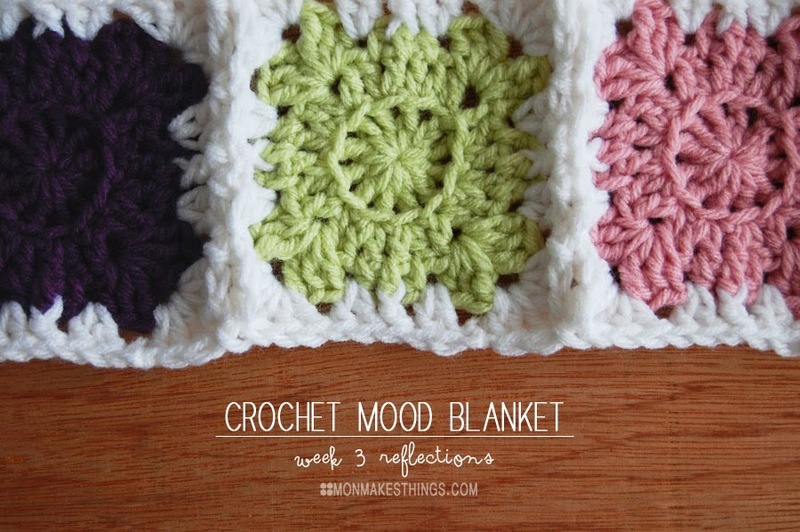 A "crochet mood blanket!" 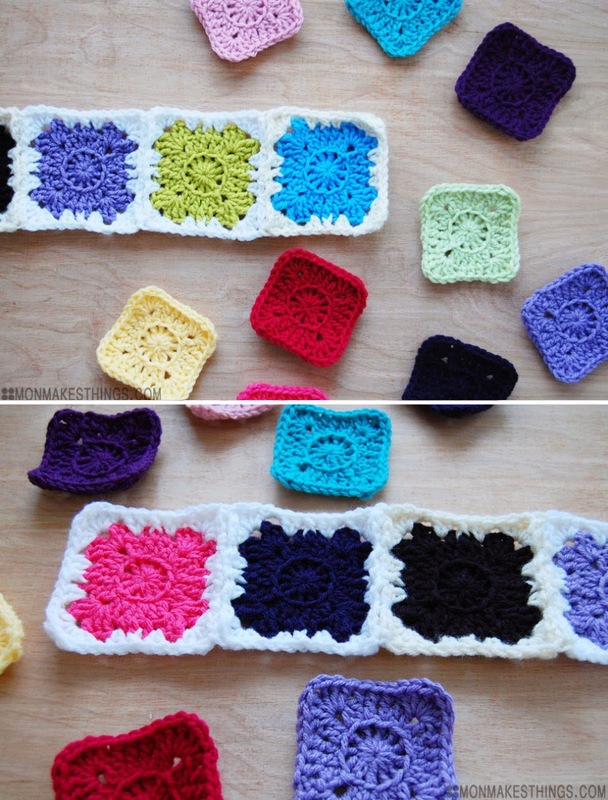 The idea is to crochet either a granny square or a stripe each day for the year, using a color that depicts your mood. The project was thought up by Instagram user mummy_stacey, AKA Stacey Wentford-Hall, and much to her surprise, it went viral! As of now, there are over 2,200 members of the Crochet Mood Blanket Facebook group, and over 4,800 posts under the #crochetmoodblanket2014 tag on Instagram. I don't even know how many countries are represented, but I'm pretty sure it's a lot. The project has grown and morphed, and is being interpreted in a number of ways. Personally, I think that's the beauty of this project; it's serving as a giant source of inspiration and the "rules" are loose! Some are doing one square a week (rather than each day), some have specified ahead of time what colors go with specific moods, some are journaling along to track their moods, some are doing a different square pattern each day, and so on! 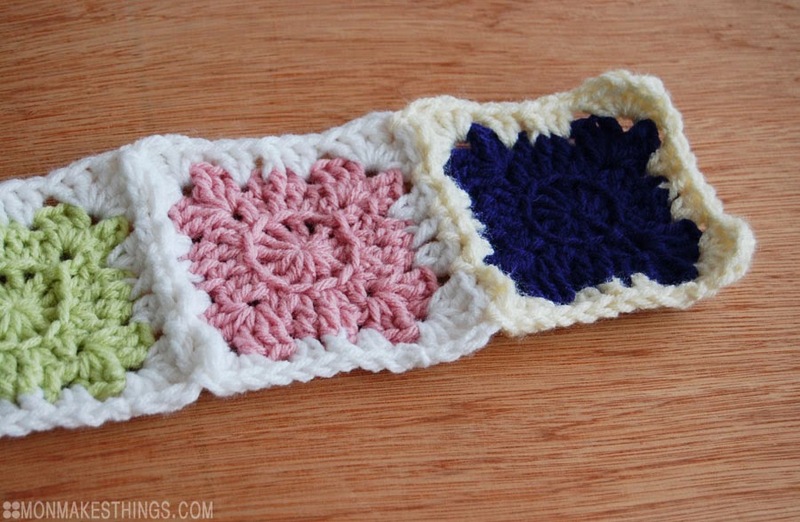 Several people are even learning to crochet via this project. Both the tag and the Facebook group have been inspiring me tremendously over the past week, and I hope that more and more people continue to join! As for me, I'll share more specifics on my blanket soon, believe you me... 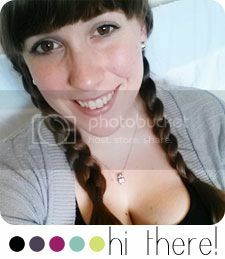 But this post is about introducing you to the project, and the project's creator, Stacey! I asked Stacey about her personal experience with crochet, her inspiration for the project, and her plans for her own mood blanket. She was so nice to chat with me, and I love her emphasis on the community that has emerged from the project! Read her responses below, and seriously... Check out the groups! 1. 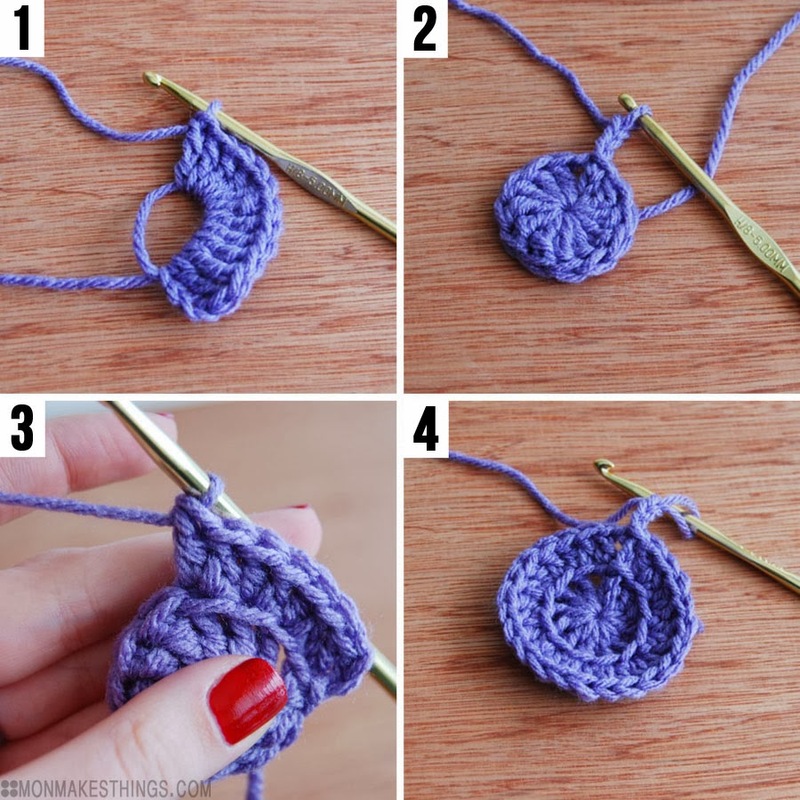 How long have you been crocheting? How did you learn? After being inspired by some blankets a friend of a friend made for my eldest daughter and by all the stunning creations I had seen through my Instagram feed, I first picked up a hook in April 2012. I have crocheted near enough every day since! I taught myself using YouTube videos! I also had help from some IG people! I wouldn’t say I favour one thing really. I love making blankets, but also love making quicker projects like cowls, doilies, jar covers and cup cosies. I find that I mostly make baby blankets, but that’s due to the fact a lot of my friends and family have had babies since I first learnt to crochet! I’m yet to complete a big blanket which is one of the reasons I set myself the challenge of making the crochet mood blanket! I’d really like to get into doing some more yarn bombing this year too! 3. 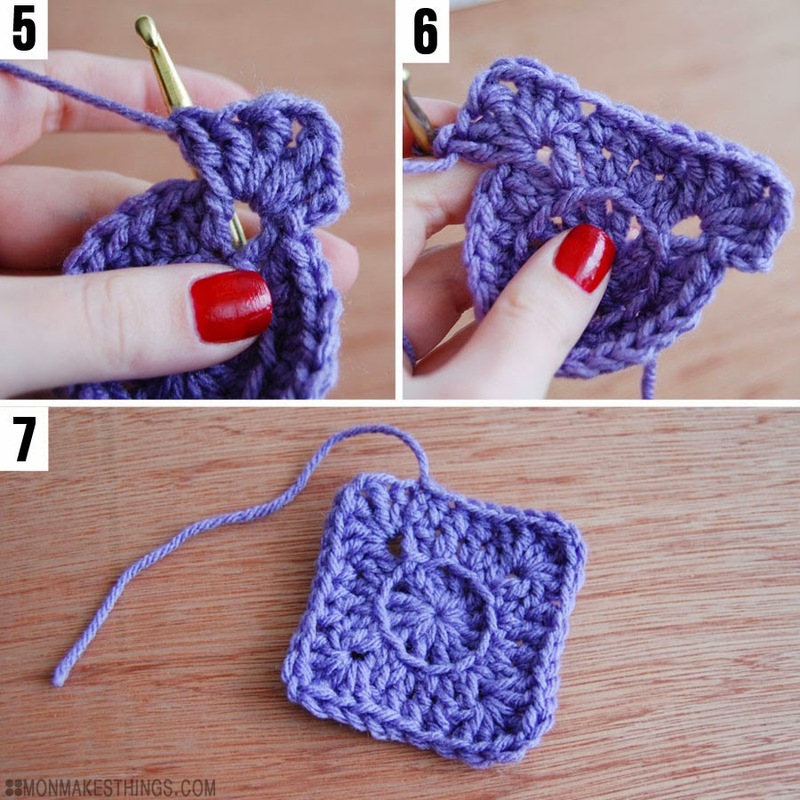 Do you crochet just for fun, or do you sell your products? At the moment I crochet for fun, but I am aiming to have a website up and running in the next month or so where I’ll be selling products and also patterns. So watch this space! 4. 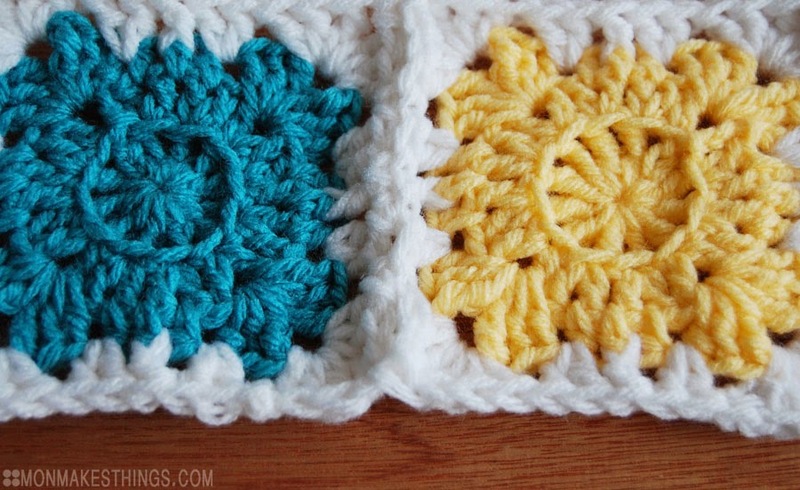 How did you come up with the idea for the "Crochet Mood Blanket" project? I get a lot of inspiration from the internet for both photography and craft projects. I have always admired the 365 projects Georgia from www.documentingdelight.com has done on her three gorgeous children and wanted to do the same. Sadly I have tried and failed to do so on numerous occasions. Whilst looking for inspiration on Instagram I came across the lovely @karensi1 who was doing a project with her friends over on a Facebook group called "For the Love of Yarnigans," where they were crocheting a scarf for 30 days and choosing a colour each day to reflect their mood. @karensi1 did hers differently by making hers a blanket. And so it all clicked into place!!! A 365 project where I crocheted my mood! That’s something I thought I could definitely achieve as I crochet every day anyway! We all have "For the Love of Yarnigans" to thank for this! 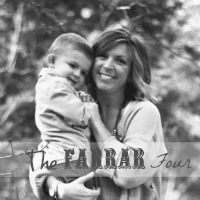 Well I was originally just going to do the 365 project, but somehow I seem to be doing both! 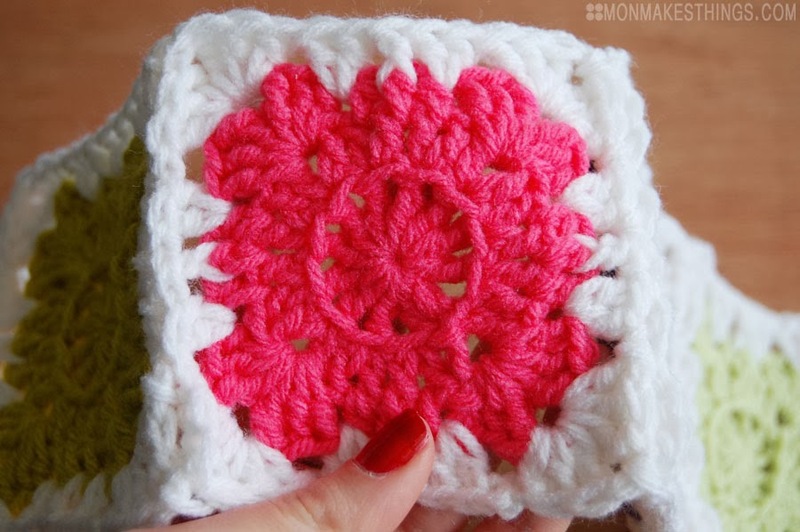 For the 365 I am making simple solid coloured granny squares which I’m joining as I go with a cream border. I have ten different colours and I’m just picking the colour I’m drawn to each day. For my 52, I’m doing stripes using various stitches, 16 colours and a chart! I’m using a diary to keep track of what I’m doing so that I can look back at it in years to come! 6. Now that the project has gone viral, has your vision for the project changed? I had absolutely no idea that so many people would be joining me with this project! I think there must be 1,500+ people now taking part between Instagram & Facebook! I’m totally blown away by the response! I wouldn’t say that my vision for my own project has changed that much. 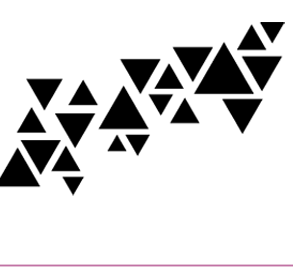 Though seeing everyone else’s projects has tempted me many many times to go for a fancier pattern. I’ve had to give myself a talking to as I simply don’t have the time to do more than what I already am. What I wasn’t expecting to see was the amazing community the project has formed! It brings me great joy to see people who have never even picked up a hook having a go! And I’ve had people contact me saying that I have inspired them to start crocheting again! How touching is that! It’s just heart-warming to see people sharing what they have made, everyone supporting each other, sharing tips and just having a giggle! Long may it continue! 7. How will you personally be sharing your progress, and how do you hope participants share their own progress throughout the year? Now that the first week is in the bag, I will be posting on Instagram and Facebook once a week with a picture and info on each square. As soon as I have set up my website I will be doing the same on there and I’m aiming to do a little feature with what other people have been making in that week too! I can attest to the community. I check the Instagram tag and the Facebook group multiple times a day like a crazy person. 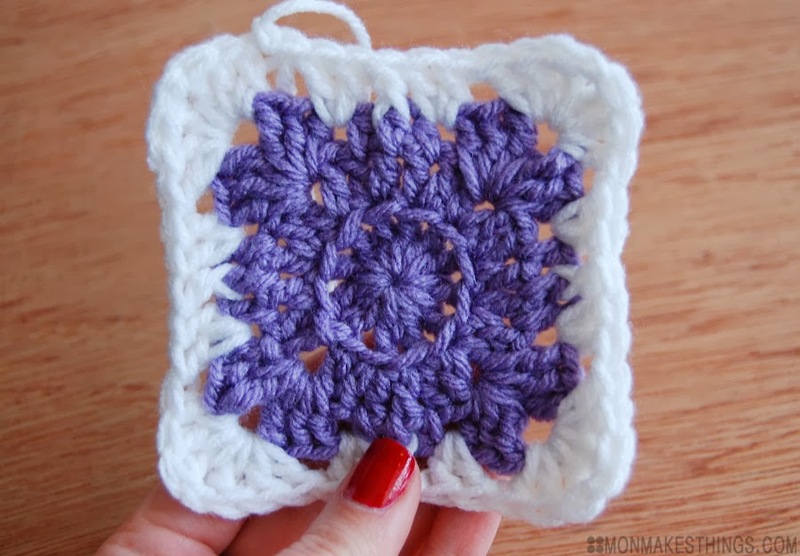 There are soooo many fantastic granny square patterns, I want to make them all! I'll more about my own blanket very soon, but for now, this post is plenty long. ;) Link-up your own mood blanket posts below! I'm hoping to set up weekely or bi-weekly link-ups to share progress. What do you think of the project? I don't know about the weather where you are, but it is pretty miserable here in the mitten state. This "polar vortex" as they're calling it, has got me feeling like I've been transported to Antarctica... As I type this, the RealFeel temp is -19ºF. Yikes. My car is literally buried in snow... I'm at least half-afraid that it is never going to start again, hah. So while I'm cozied under my warm blanket with skeins of yarn stacked up beside me, I thought I'd share some photos from the New Year's party boyfriend and I threw this year. The lighting wasn't great of course, but that's the nature of nighttime photos. Scott and I had been debating between going out and staying in for NYE this year, when a few friends started asking me about our plans. I realized that thanks to Christmas, I happened to have several of my oldest friends in town all at once -- a rare opportunity that I couldn't not take advantage of. As we've all gotten older, most of them seem to have moved across the country, which is great for vacation planning, but sucky for party throwing. 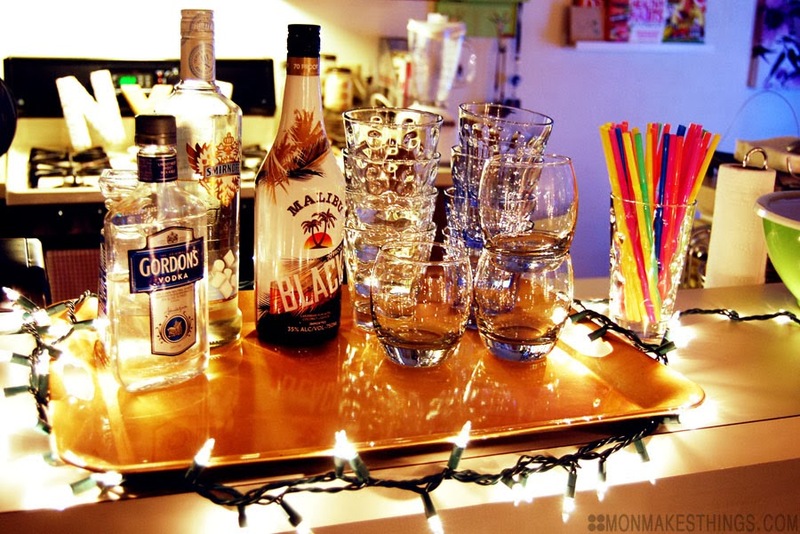 ;) So with mere days to spare, I decided to throw what I dubbed the "last-minute, low-key, super-chill NYE party." I whipped up a few glittery NYE decorations at a slumber party with my old college roommates the night before the party, and otherwise just left my Christmas decor out. 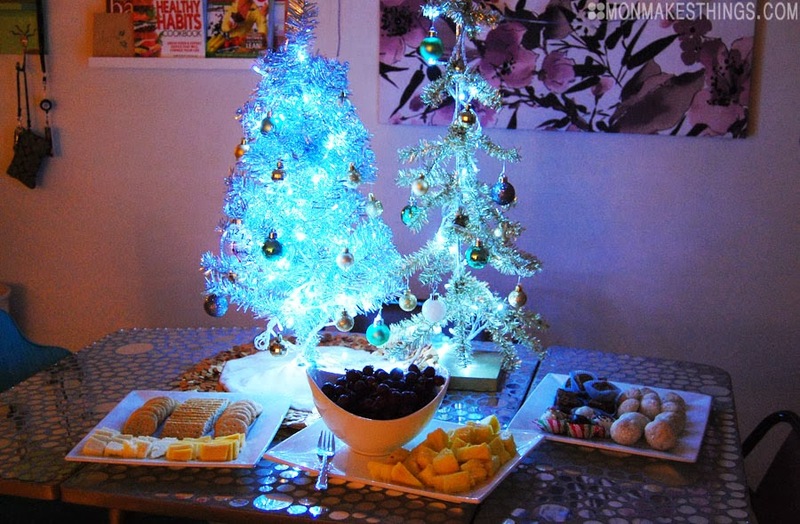 My pallet tree, star light garland, and a strand of twinkle lights wrapped around the breakfast bar served as our "mood lighting." I put out cheese and crackers, pineapple and grapes, Christmas cookies and treats, chips and dip, and pretzels, along with the stash of liquor that's been hanging out in our freezer for months. I also made a quick punch with cranberry juice, ginger ale, pink lemonade, and pineapple rum -- yum! I snagged some adorable (and delicious!) 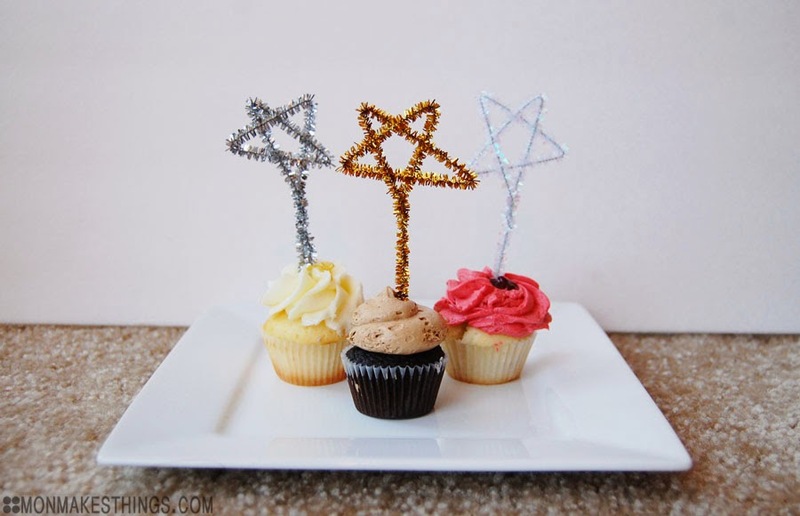 mini cupcakes from a local bakery, and made these quick cupcake toppers! 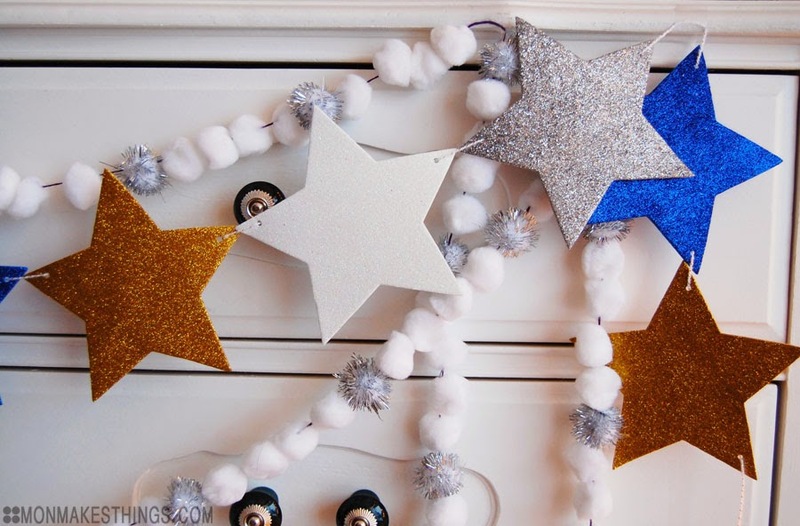 I'll post tutorials for those glittery garlands and star toppers soon, promise. 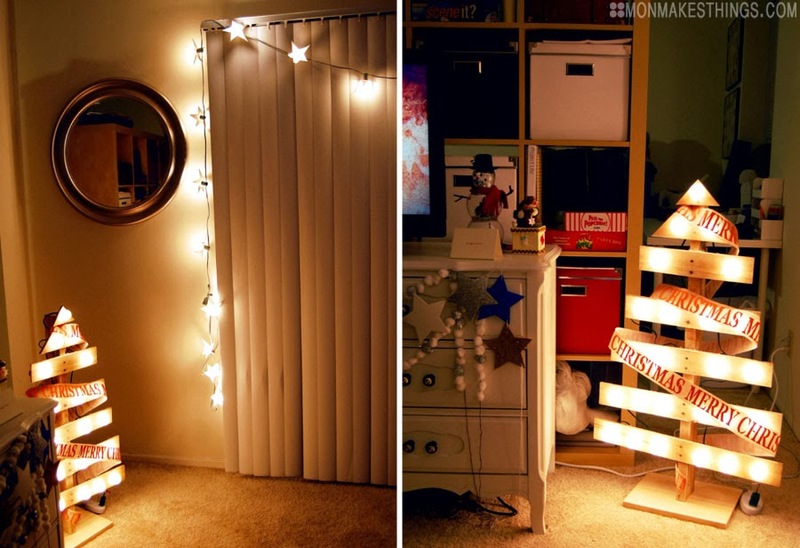 They're crazy easy, which is perfect for party decor since I never have time to decorate for such things. Phew! A lot has happened since I posted last, readers. I GRADUATED COLLEGE!! 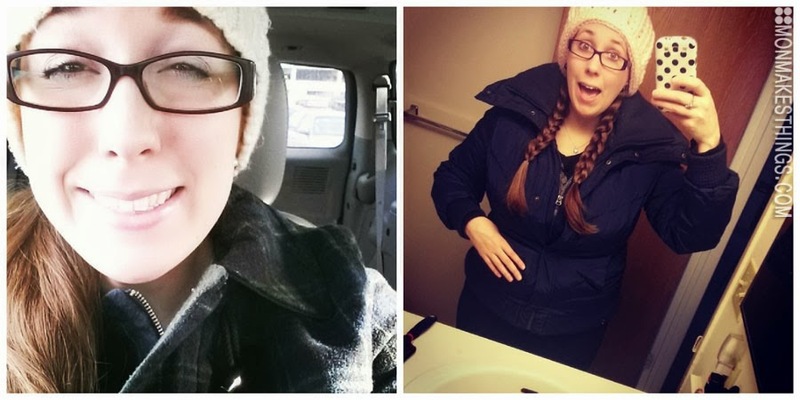 That first photo is my face before my final college class, in which I gave my final college presentation (which I nailed). My prof even bought our class pizza -- best way to finish school? I think so. Then there were all the Christmas events... New Year's Eve... New Year's Day... People always talk about how busy December is, but every year I think I'll have plenty of time to get everything done. I doubt that this will surprise you, but I always want to DIY all my gifts. The only trouble is that I rarely begin production on those gifts sooner than two weeks before Christmas. Oops. Actually, I'm still making Christmas gifts today, hah. I'm sad to see Christmas go. Finals and the flu really distracted me from a lot of the holiday revelry this year. Christmas is so magical. The snow, the lights, and the general feeling of hope that take over all make my heart happy. Perhaps most important for me, however, is the exchanging of gifts. I know, I know... Maybe you think that sounds materialistic or superficial, but I assure you that is not what I mean. I am a far better giver than I am a receiver. I love the opportunity to show the people I love how much I care about them (in the form of a well-thought out, meaningful gift). Seeing their faces light up when they unwrap a carefully packaged gift gives me such joy. Now it's the new year: 2014. A time for resolutions and changes and making plans. Truth be told, I rarely get too into the "resolutions" thing. But I am big on making lists... So in the past I have made silly lists to complete in the calendar year. Perhaps I'll list out some goals this month. 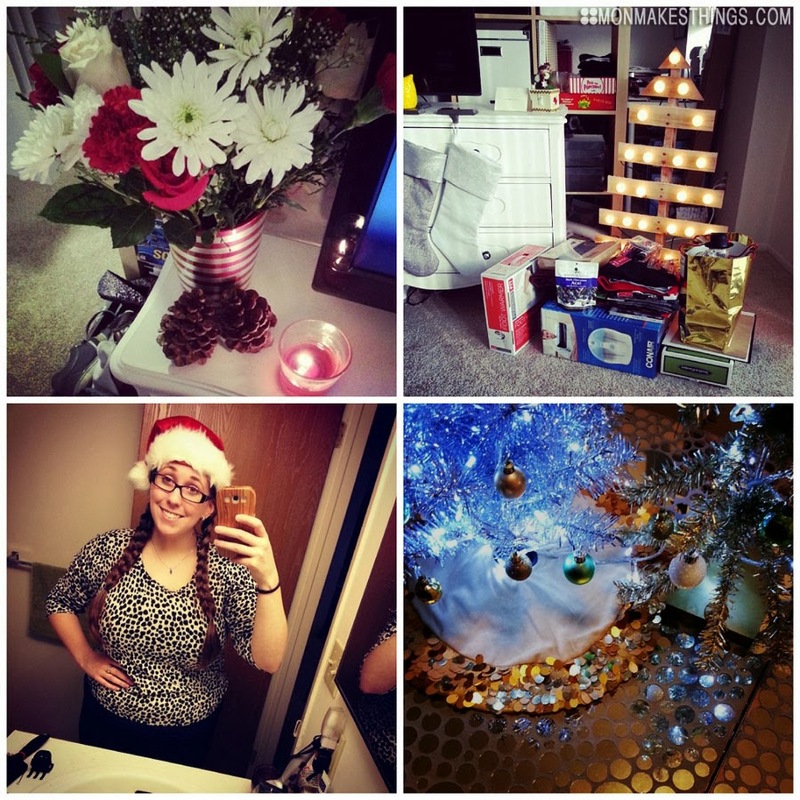 What is your favorite part of the holiday season? Have you made any resolutions? 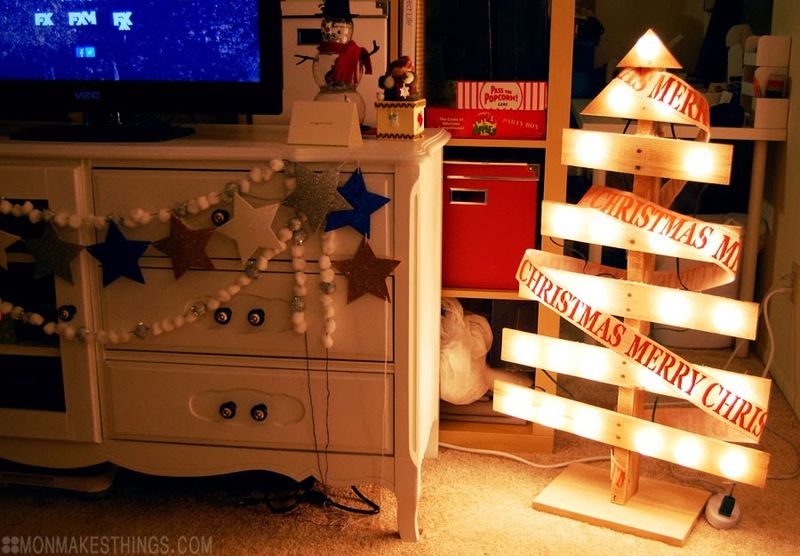 Check out more in the DIY Gallery!